MLK Day is such a great opportunity to teach our young students about treating people that are different from us with respect and love. 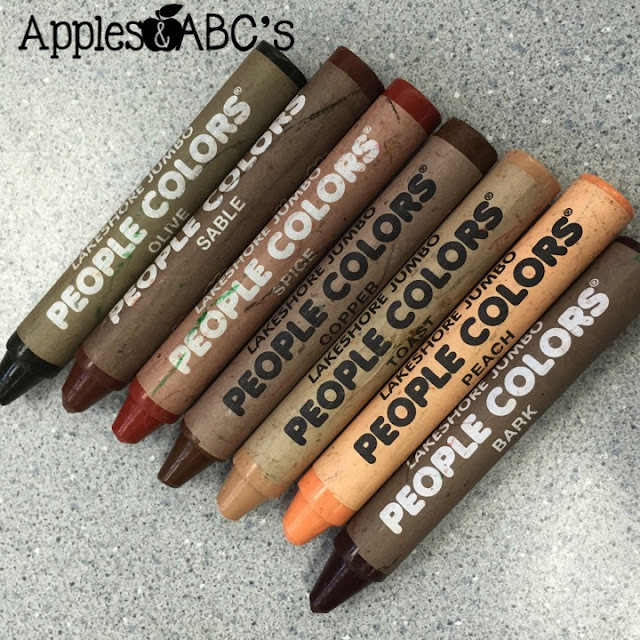 I purchased these skin color crayons from Lakeshore and thought they would be the perfect visual for explaining to the students what Martin Luther King's dream was. 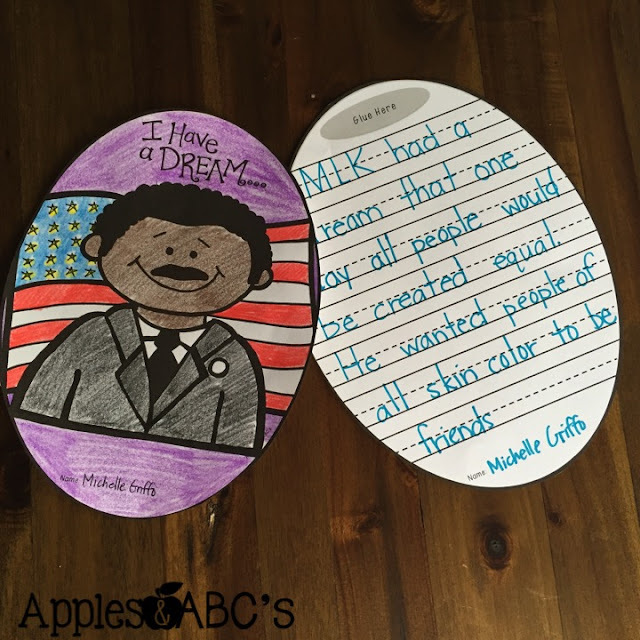 I separated the light and dark colors and said a long time ago kids could only play with kids that had their same skin color. 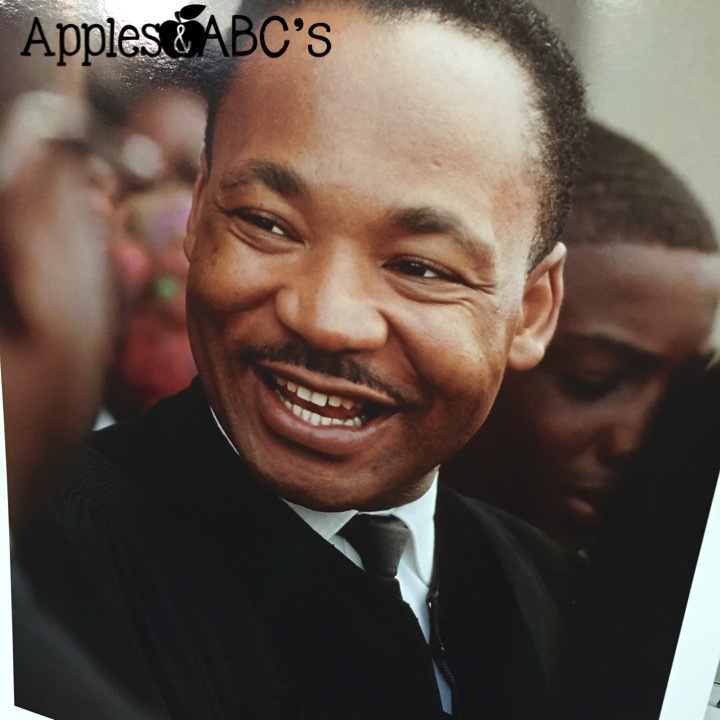 Then I mixed all the crayons together and said that MLK had a dream that everyone could play together no matter what color their skin was. It was a great introduction to our study of MLK! 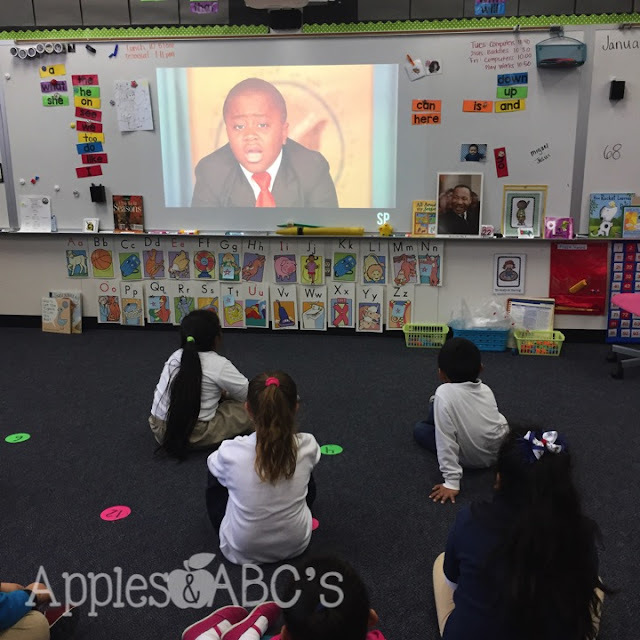 I found a cute video on YouTube about MLK from the Kid President and the students loved watching it! 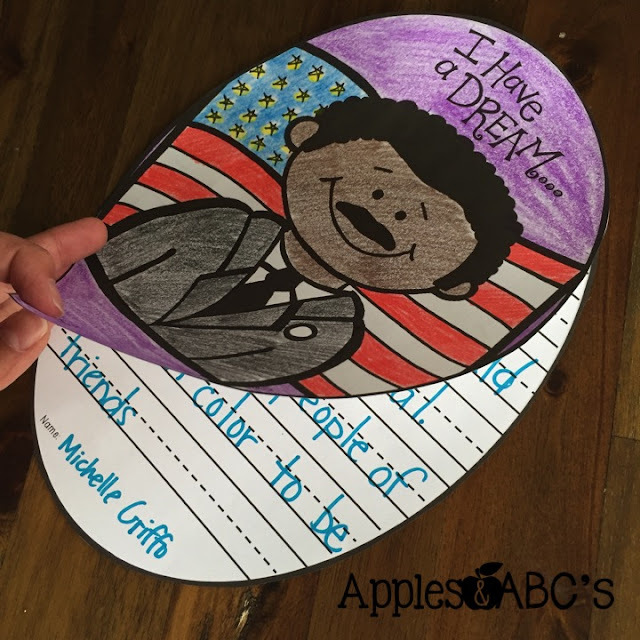 We made this Martin Luther King, Jr. flip craft! 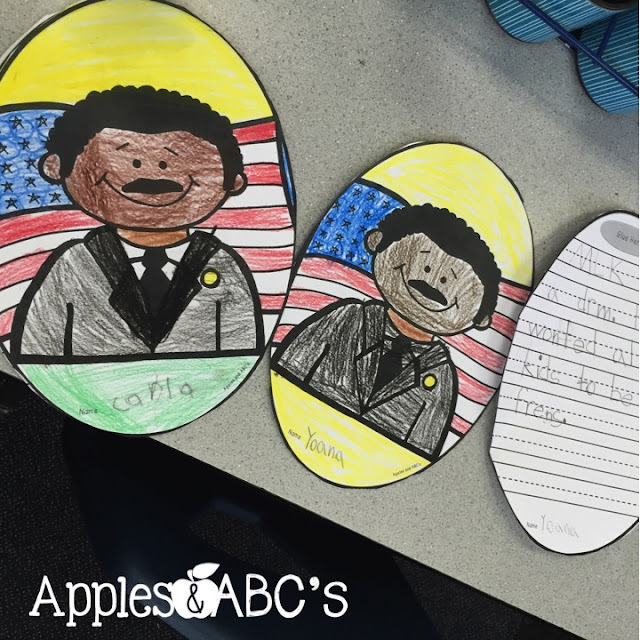 The students wrote about MLK and then colored his picture. We completed this writing activity in our writing groups. 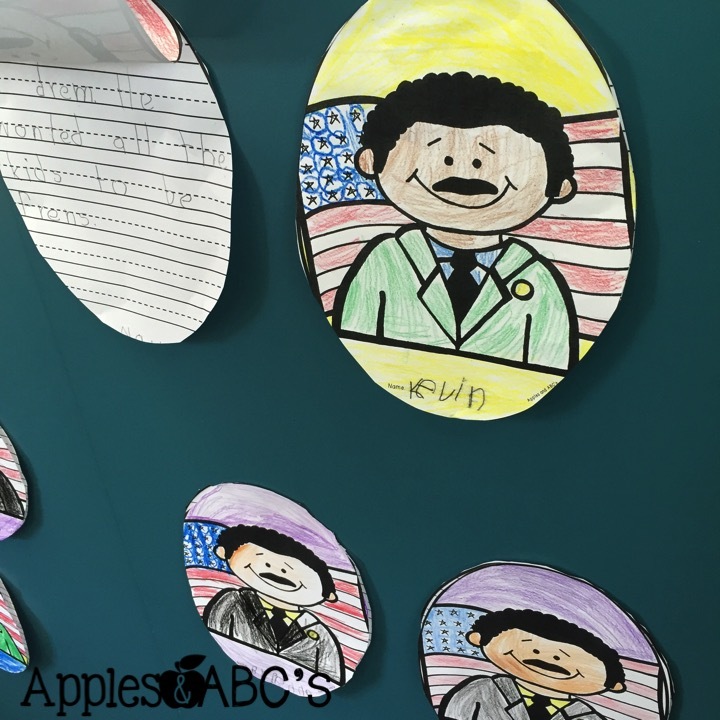 Some of the students I did a directed writing, and the others wrote their own response. 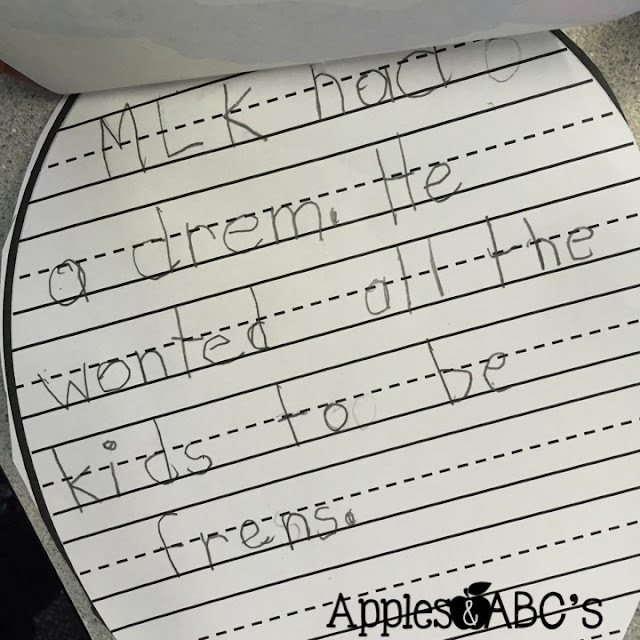 This is an example of our directed writing. 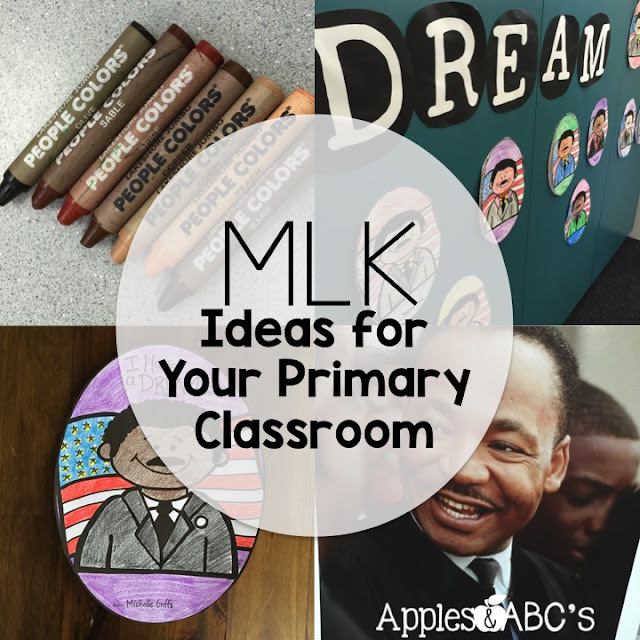 I don't have any bulletin board space available so I hung their MLK craft on my cupboard doors! 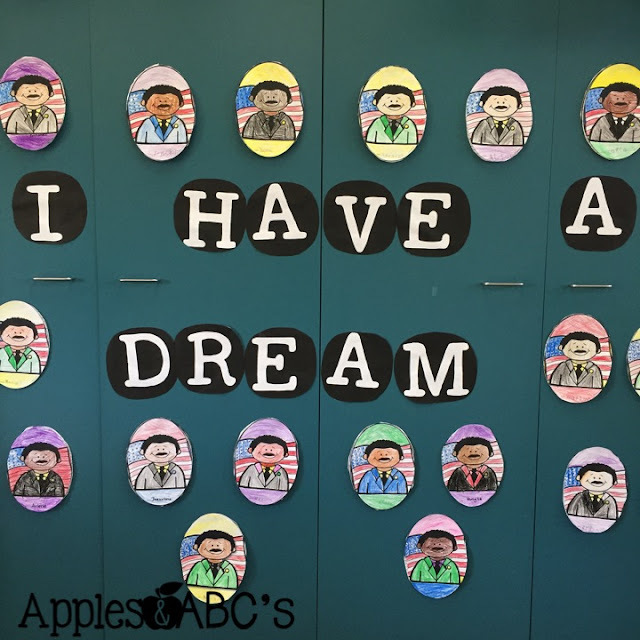 I printed out "I have a dream" using KG Fonts. 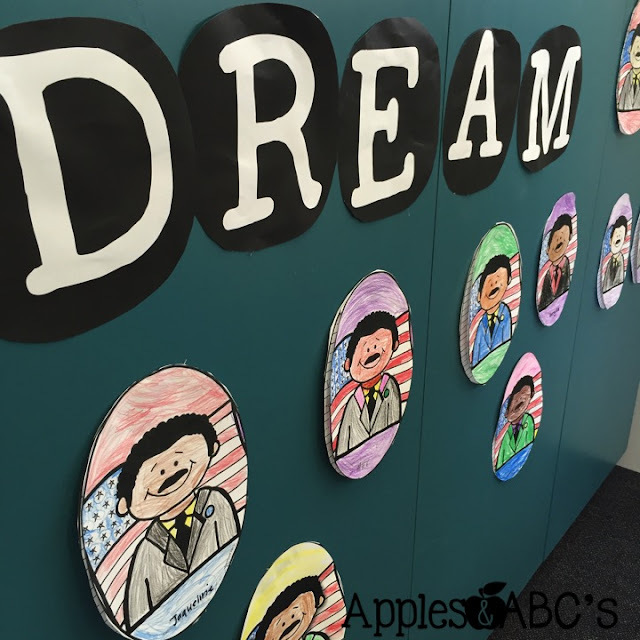 I just printed each letter on one sheet of paper, cut them out, and taped them to the doors! Find the MLK Craftivity in my Tpt Store!